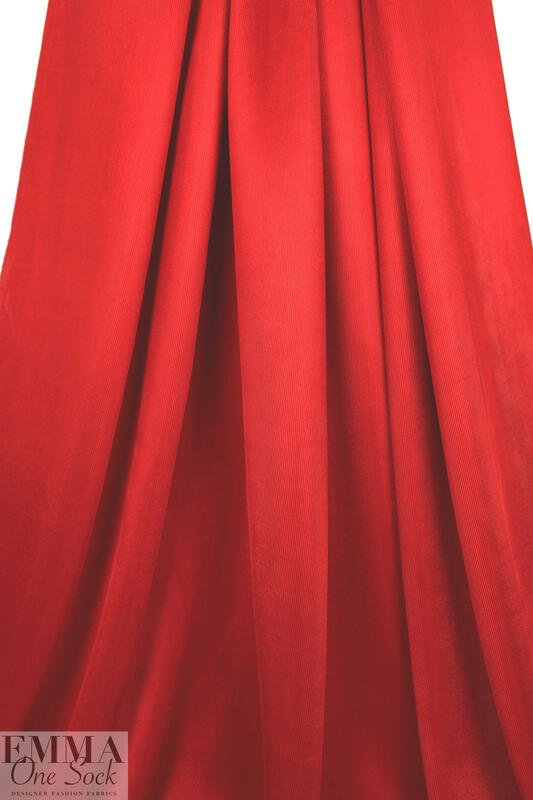 This amazingly wonderful and high-tech beauty is a thick doubleknit from a NY designer, made in Italy. The texture reminds me of chain link -- it has a visible knit stitch texture on both sides. 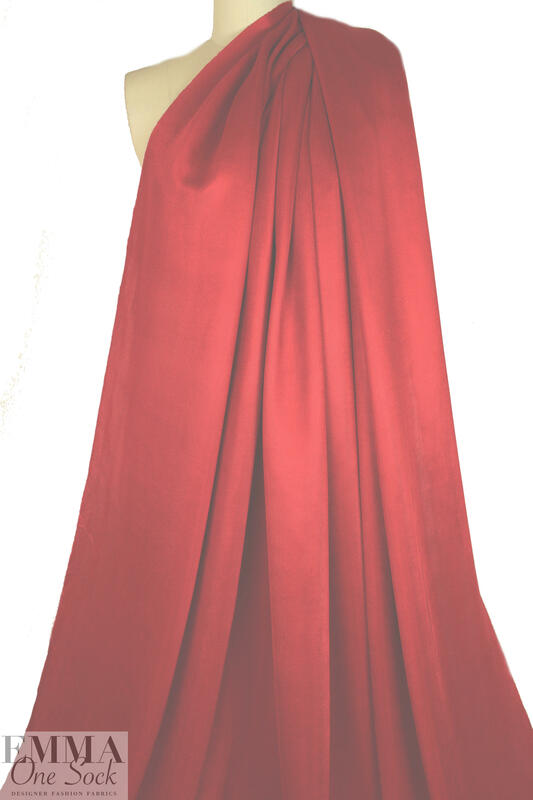 It is quite substantial, like scuba or thick ponte, with a dressy soft sheen and body in the drape. 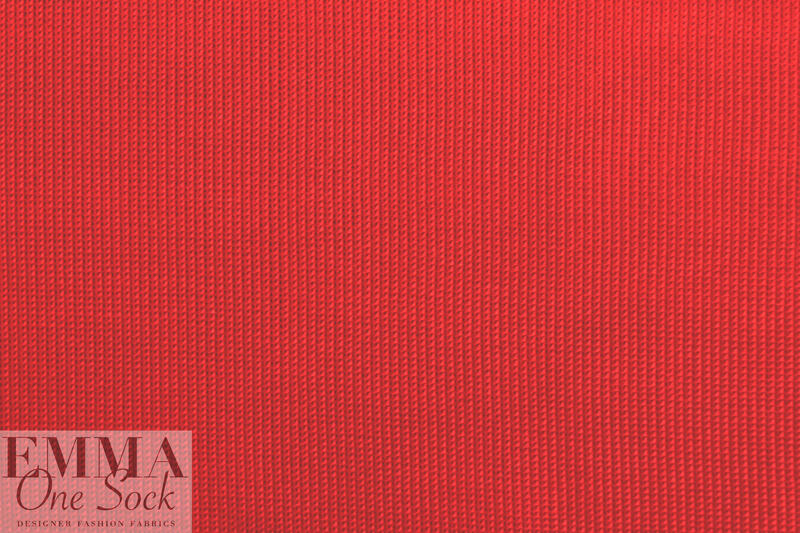 It has a high end look, is made from viscose, and has about 15% stretch in the width only with great recovery. 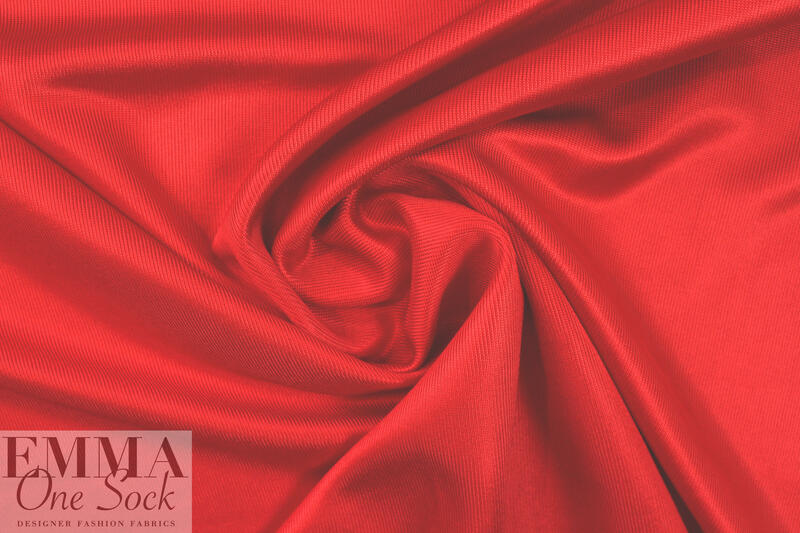 The cherry red color (PANTONE 18-1763) is stunning, and it is perfect for a knit suit, dress, knit jacket or topper coat, simple skirt, etc. Dry cleaning recommended.